Herts Memories - presents history, memories, photos and opinions about Hertfordshire. Links from this website to other sites of possible interest are provided for your convenience and information only. 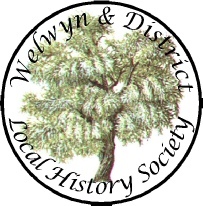 Welwyn & District History Society does not endorse any of these websites and accepts no responsibility for the content of those sites.